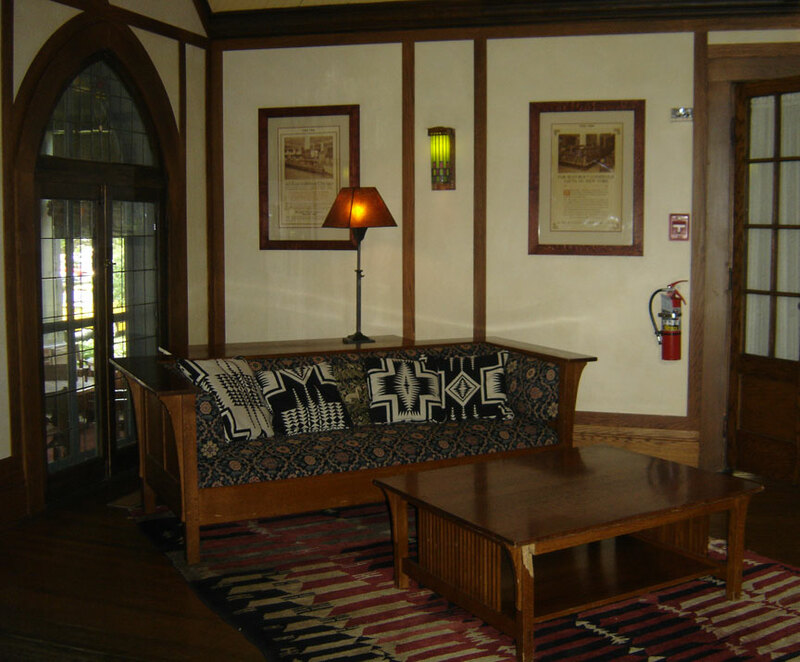 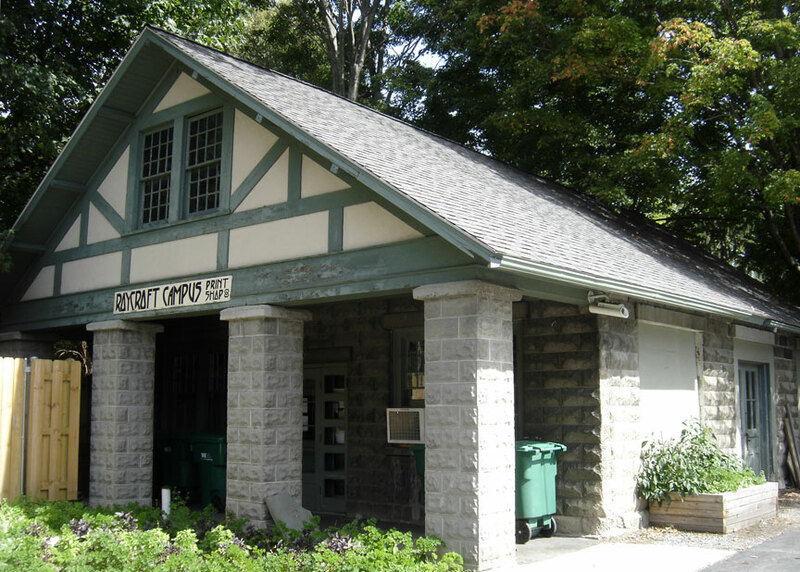 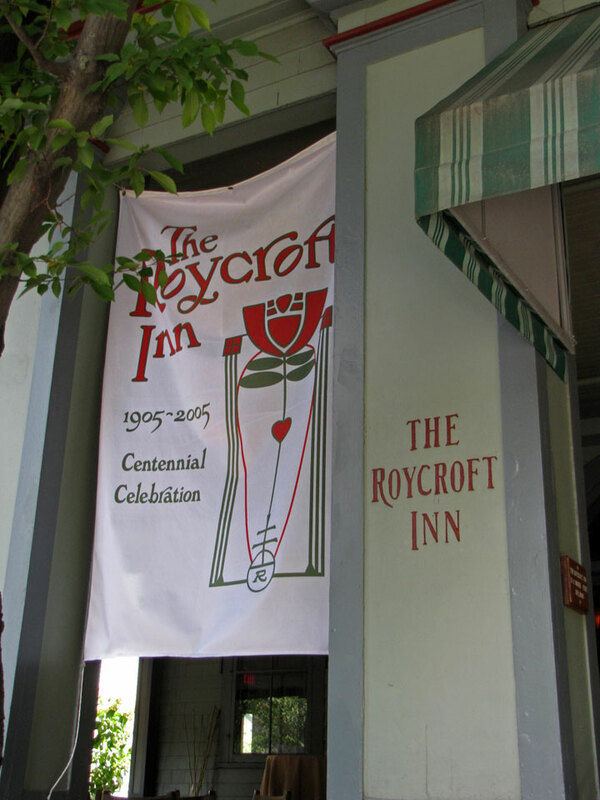 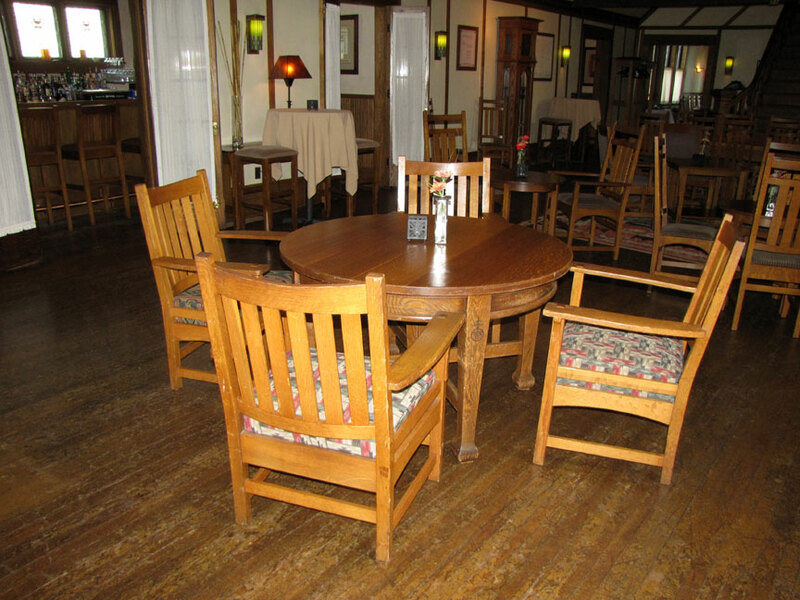 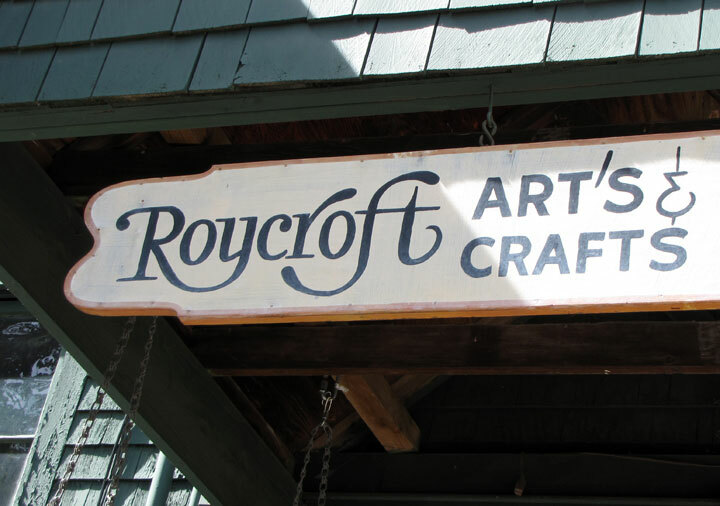 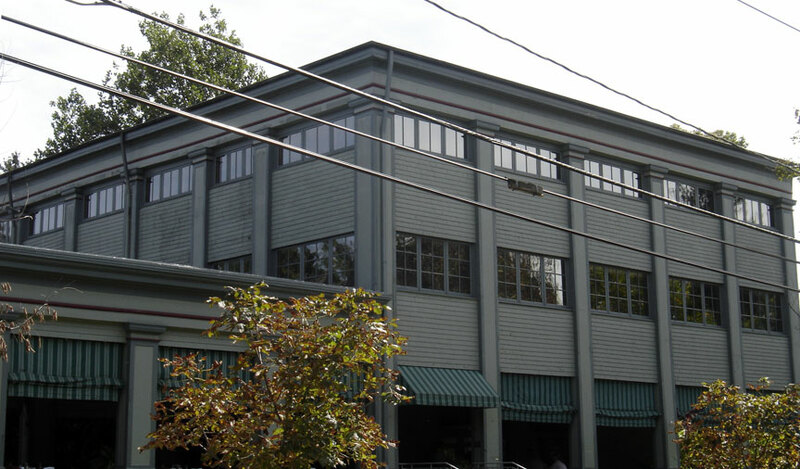 Roycroft was a reformist community of craft workers and artists which formed part of the Arts and Crafts movement in the USA. 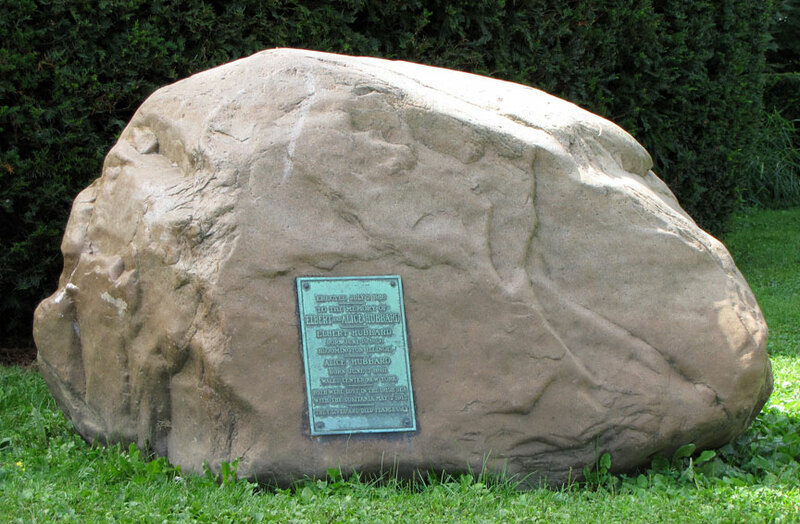 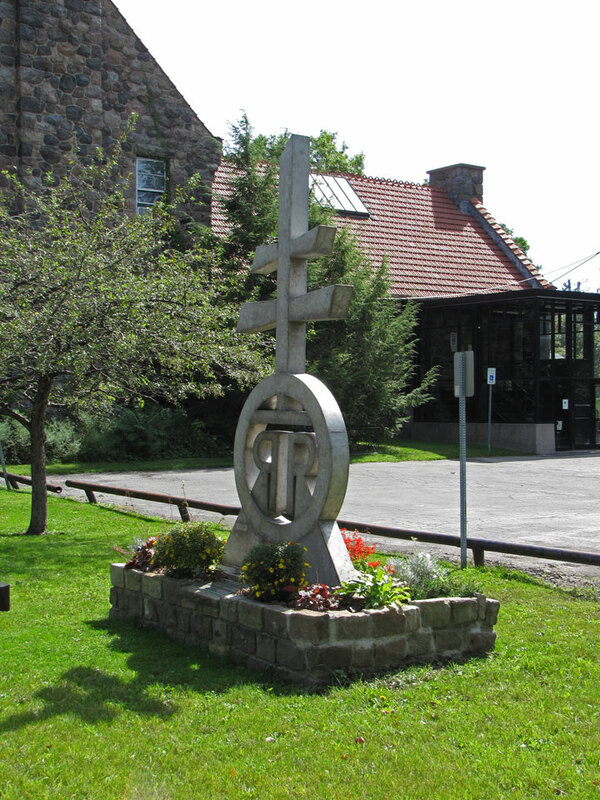 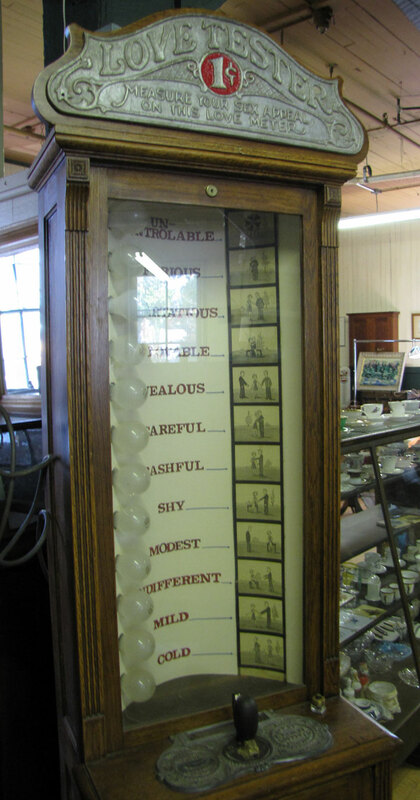 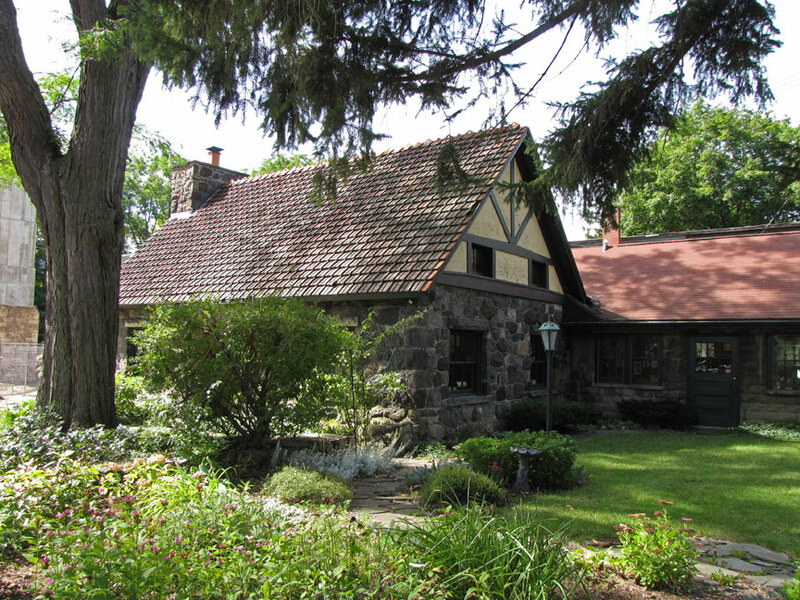 Elbert Hubbard founded the community in 1895 in the village of East Aurora, Erie County, New York, near Buffalo. 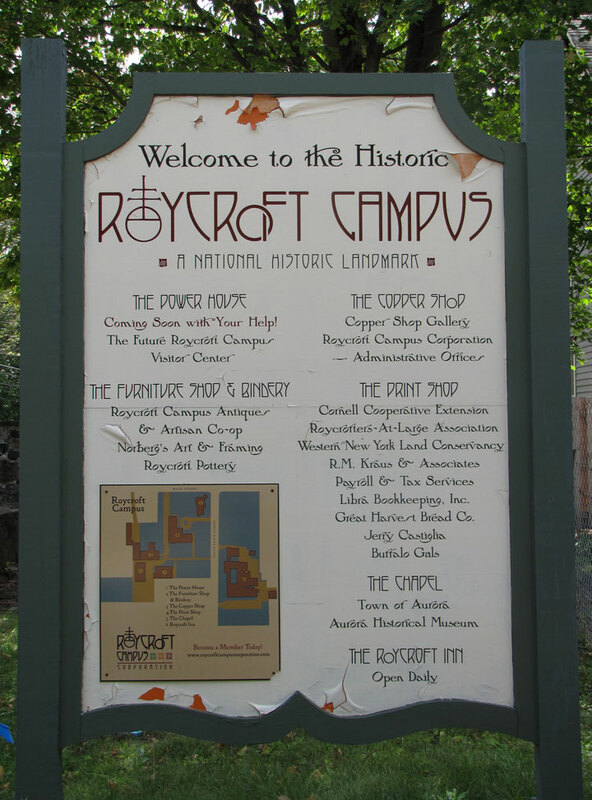 Participants were known as Roycrofters. 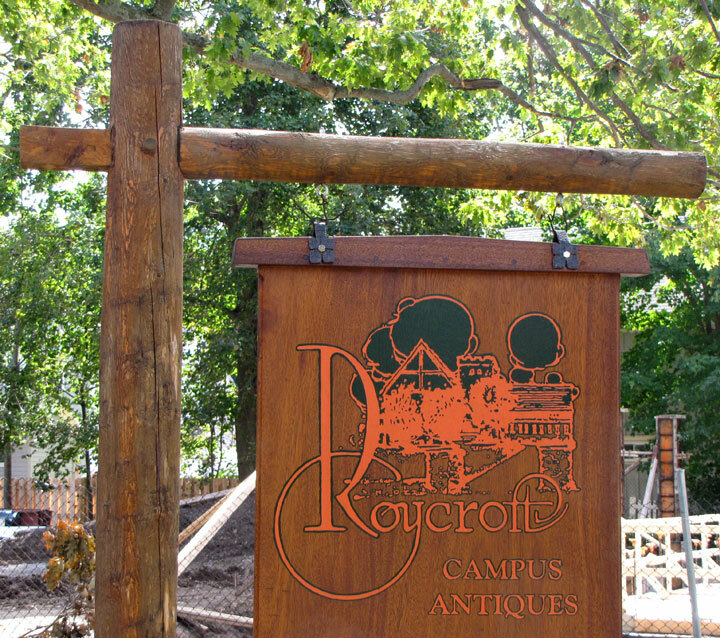 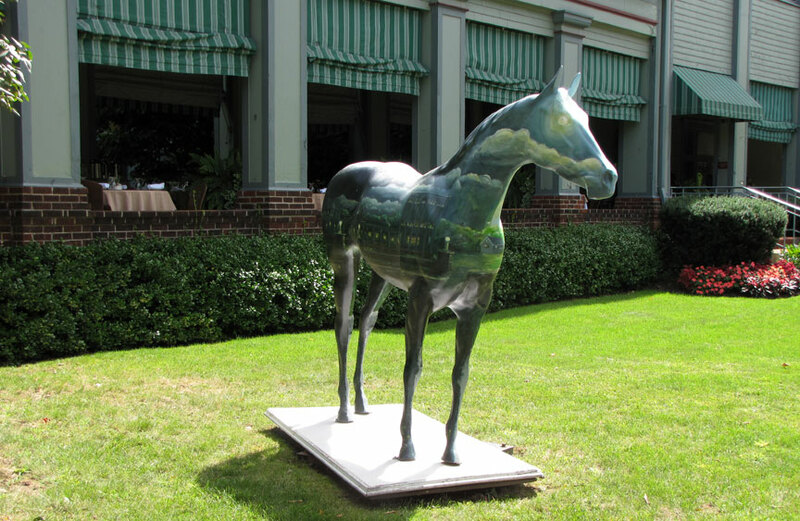 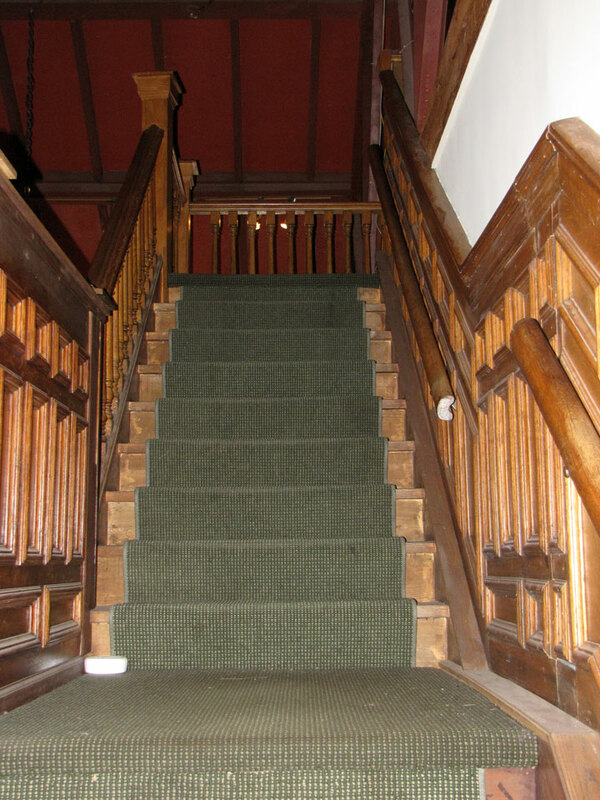 The work and philosophy of the group, often referred to as the Roycroft movement, had a strong influence on the development of American architecture and design in the early 20th century. 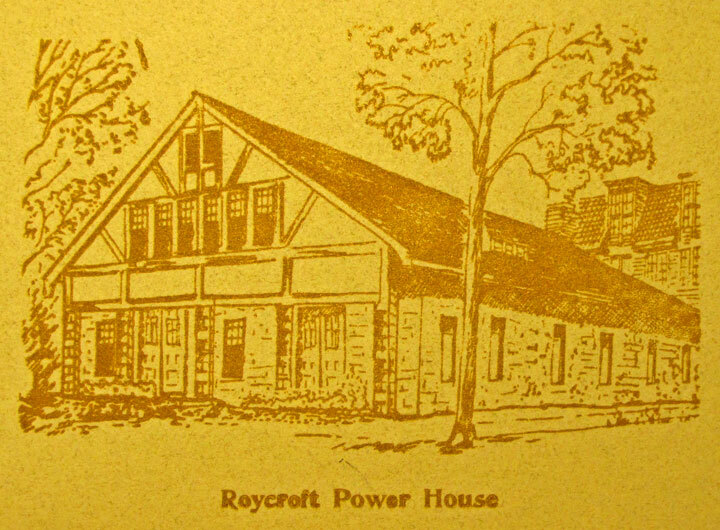 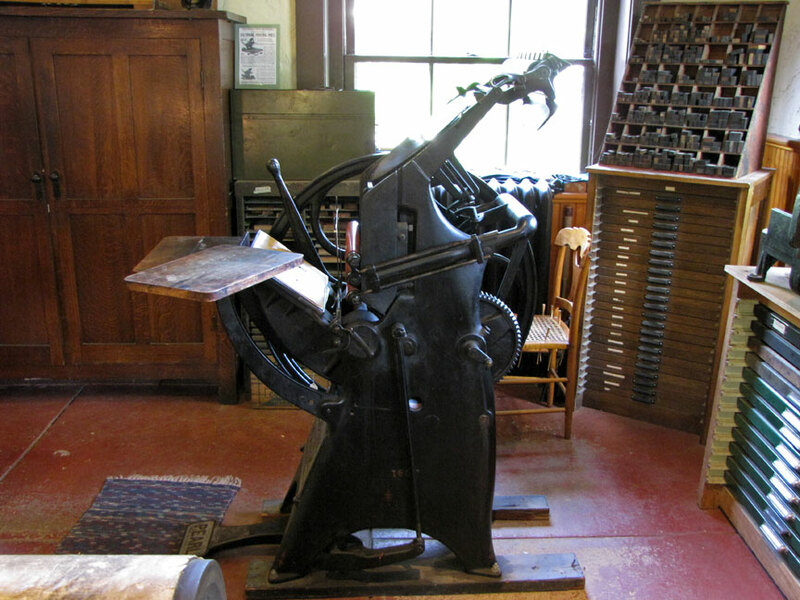 The name Roycroft was chosen after the printers, Samuel and Thomas Roycroft, who made books in London from about 1650-1690. 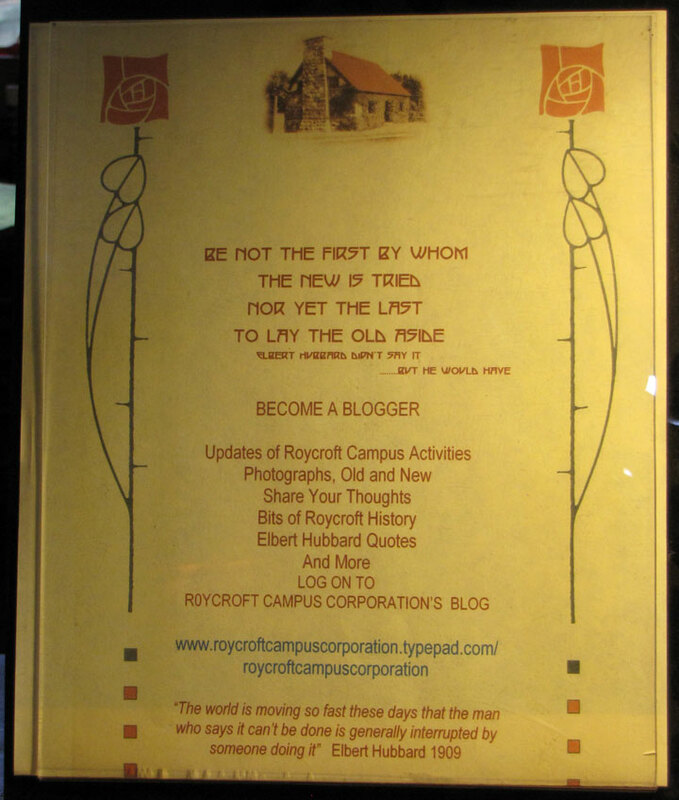 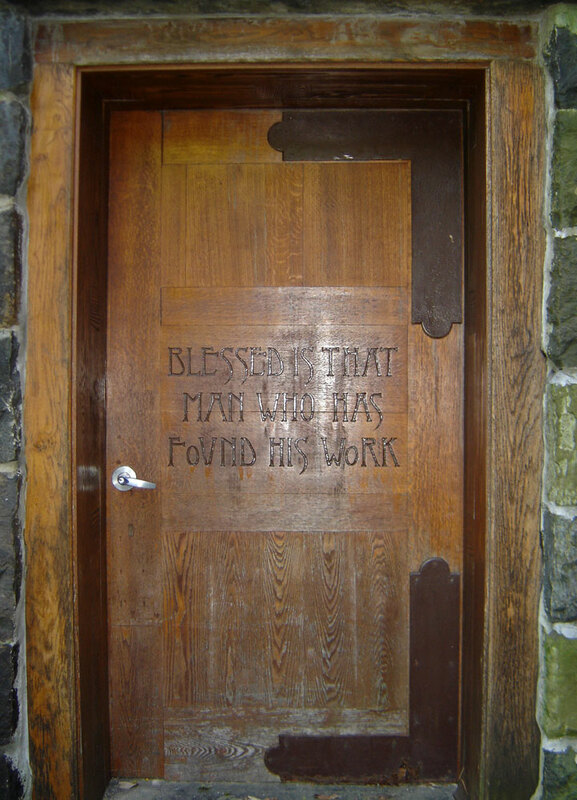 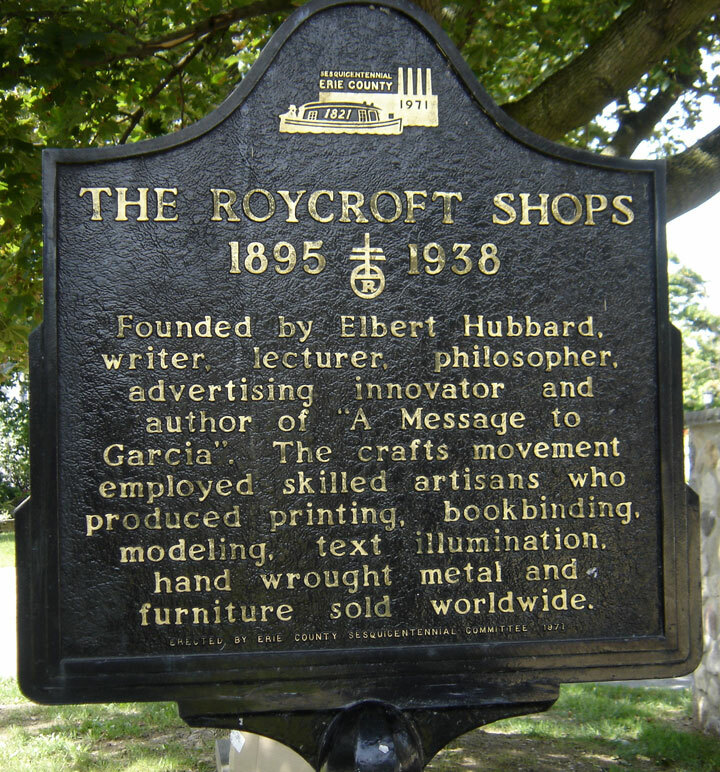 And beyond this, the word Roycroft had a special significance to Elbert Hubbard, meaning King's Craft. 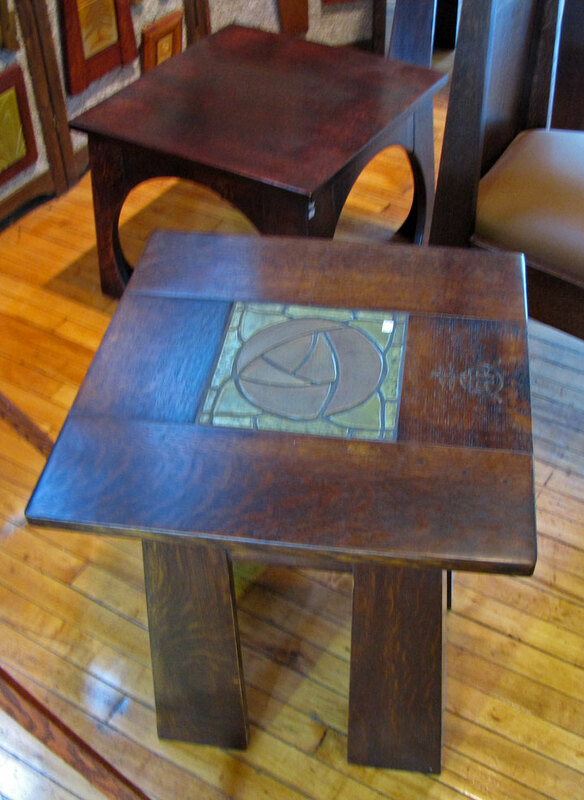 In guilds of early modern Europe, king's craftsmen were guild members who had achieved a high degree of skill and therefore made things for the King. 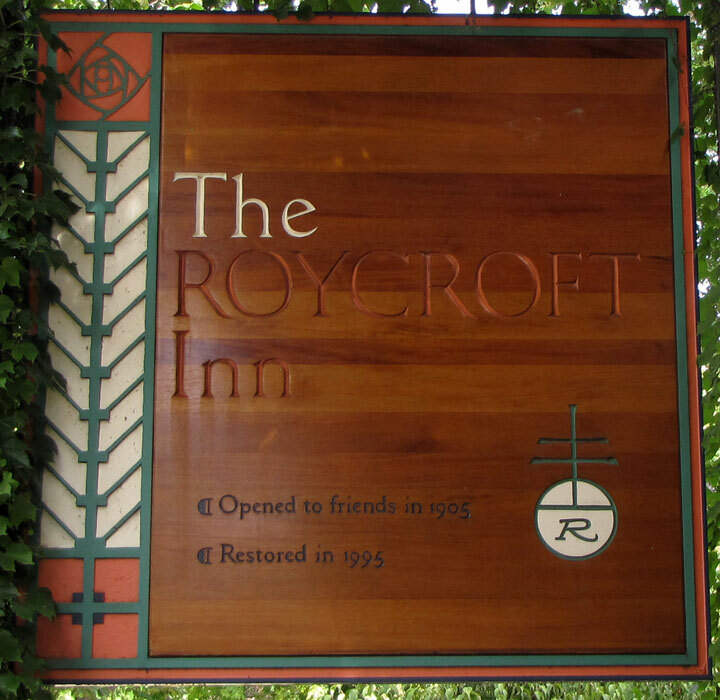 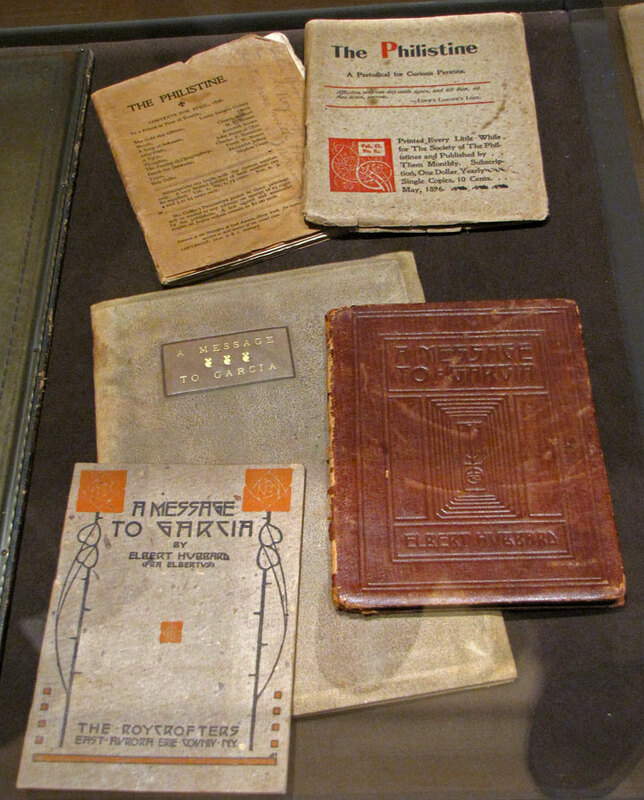 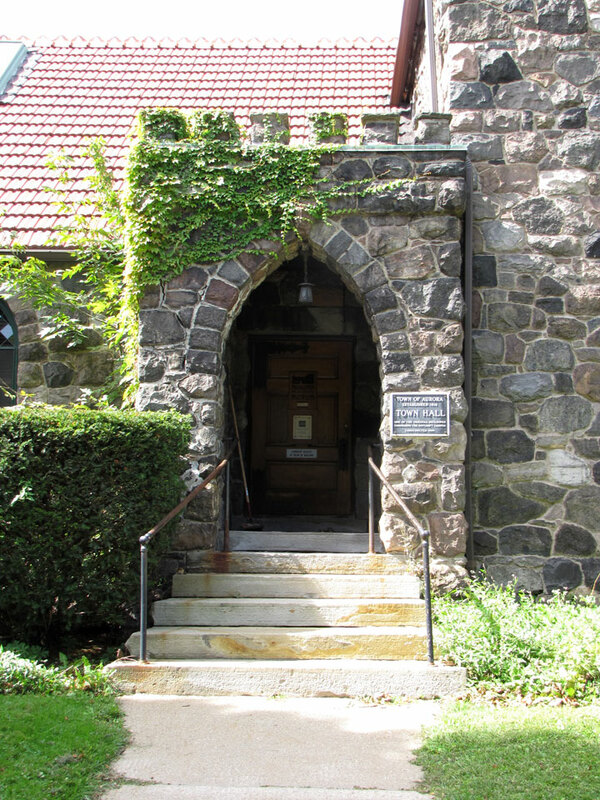 The Roycroft insignia was borrowed from the monk Cassidorius, a 13th century bookbinder and illuminator. 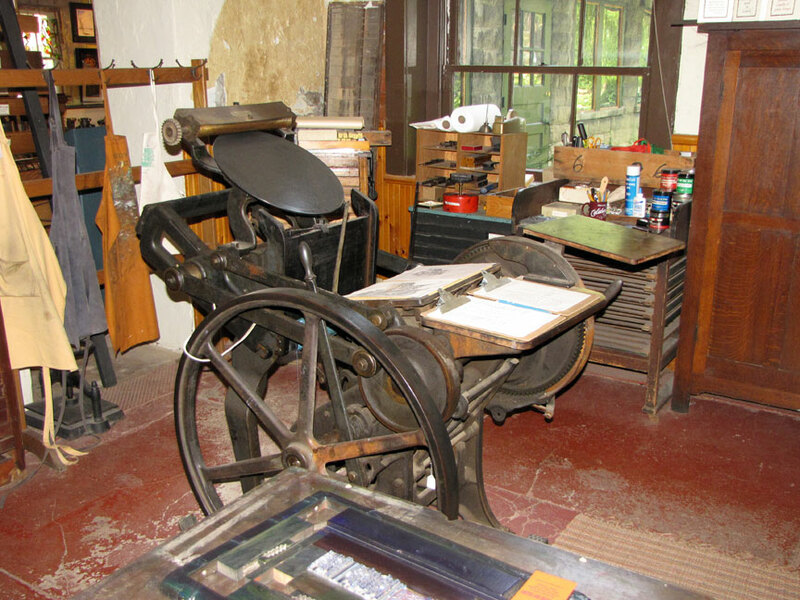 "A belief in working with the head, hand and heart and mixing enough play with the work so that every task is pleasurable and makes for health and happiness". 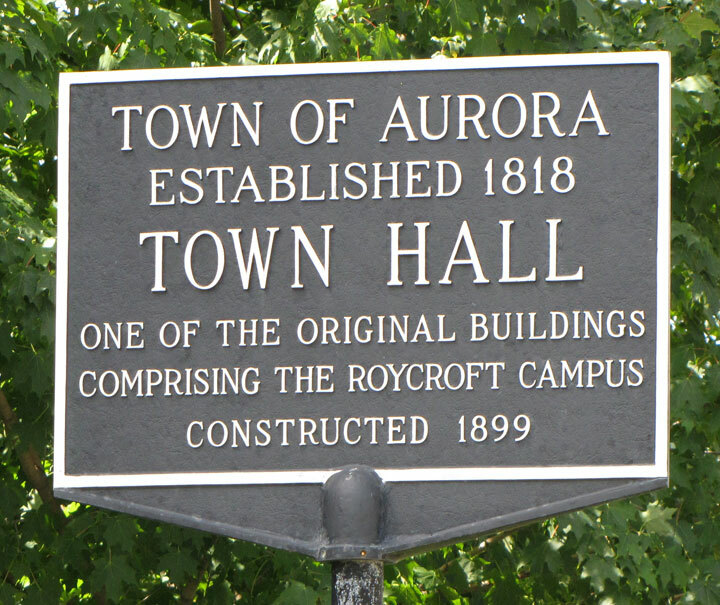 The inspirational leadership of Hubbard attracted a group of almost 500 people by 1910, and millions more knew of him through his essay A Message to Garcia. 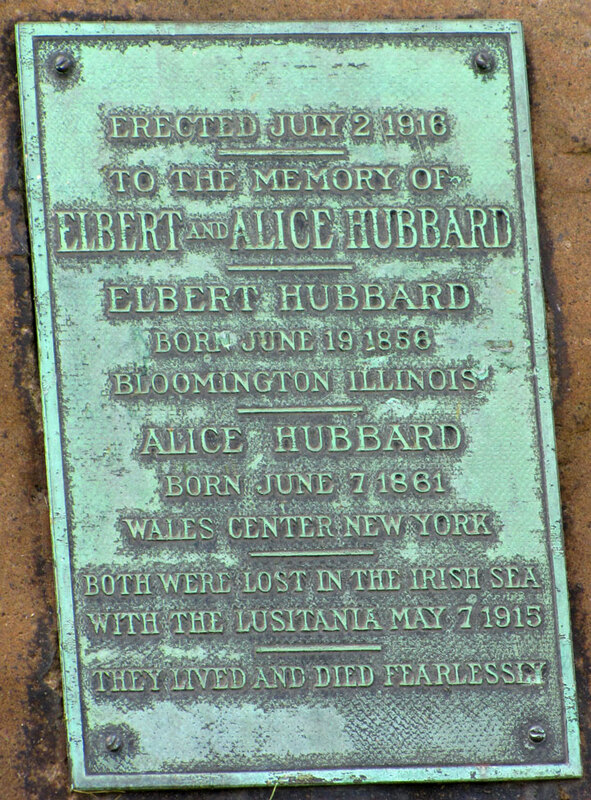 In 1915 Hubbard and his wife, noted suffragette Alice Moore Hubbard, died in the sinking of RMS Lusitania, and the Roycroft community went into a gradual decline. 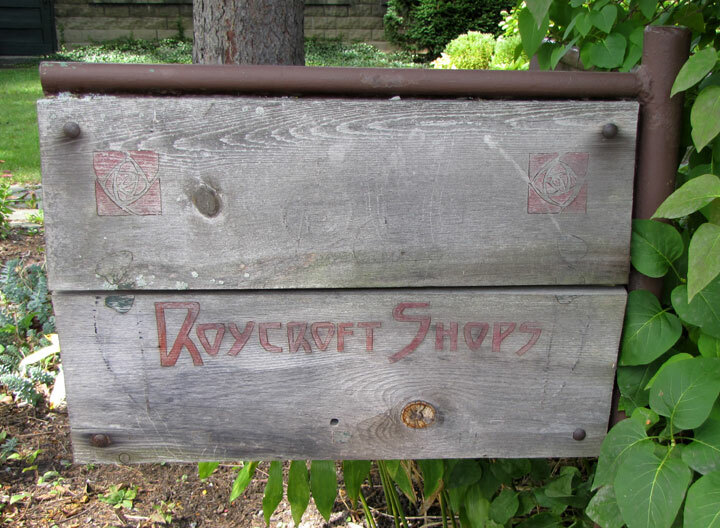 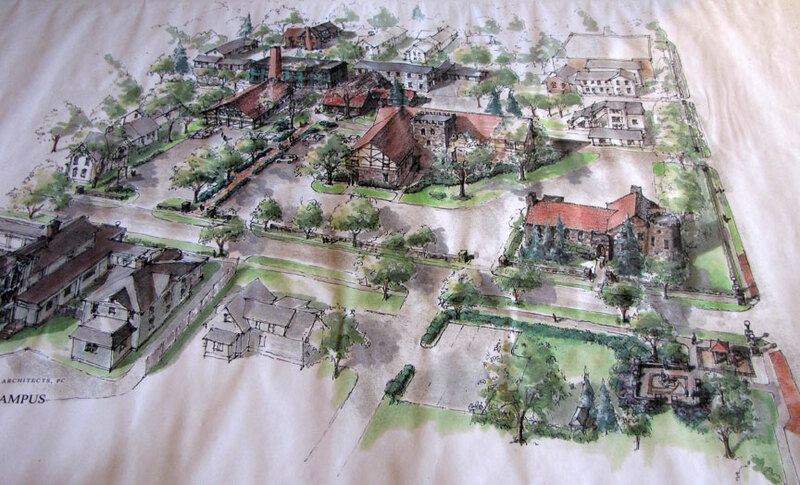 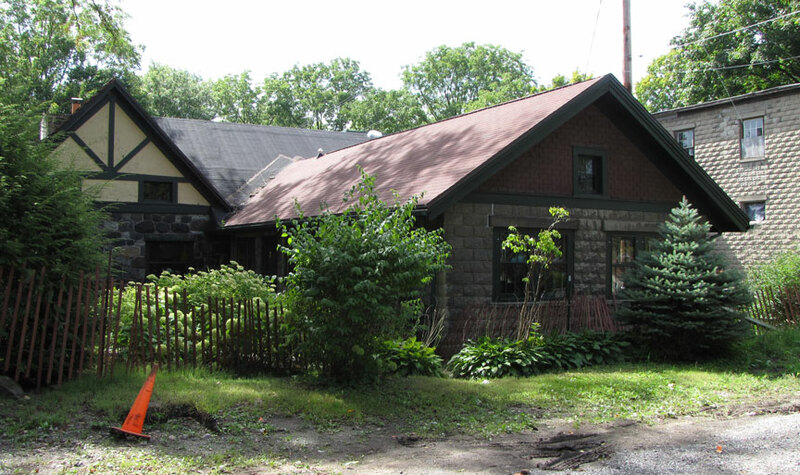 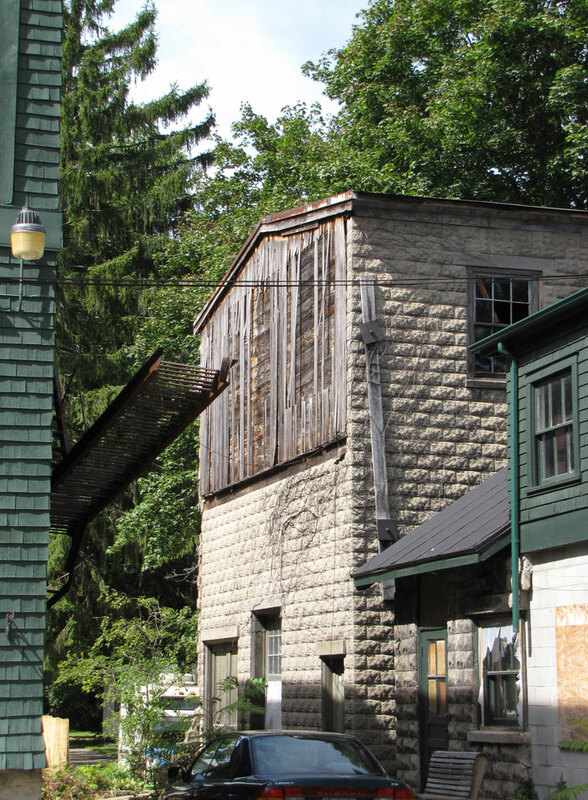 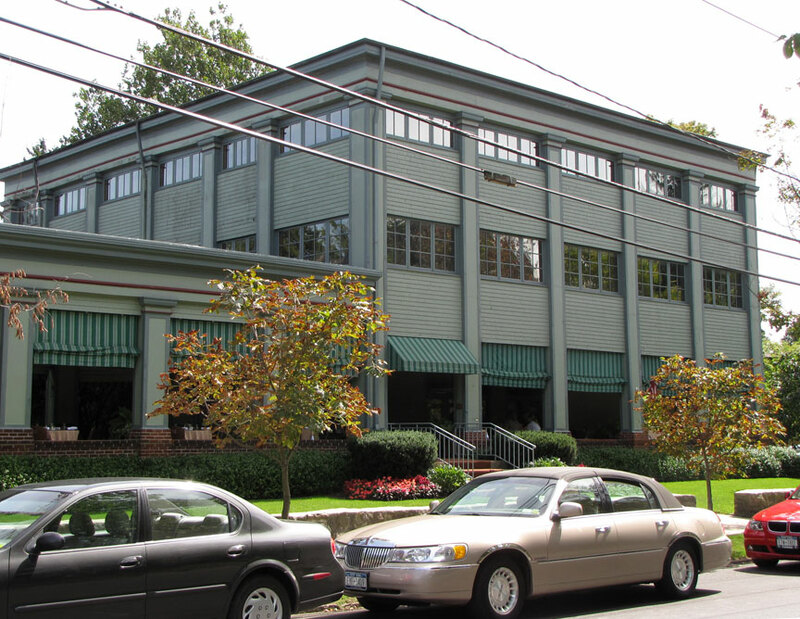 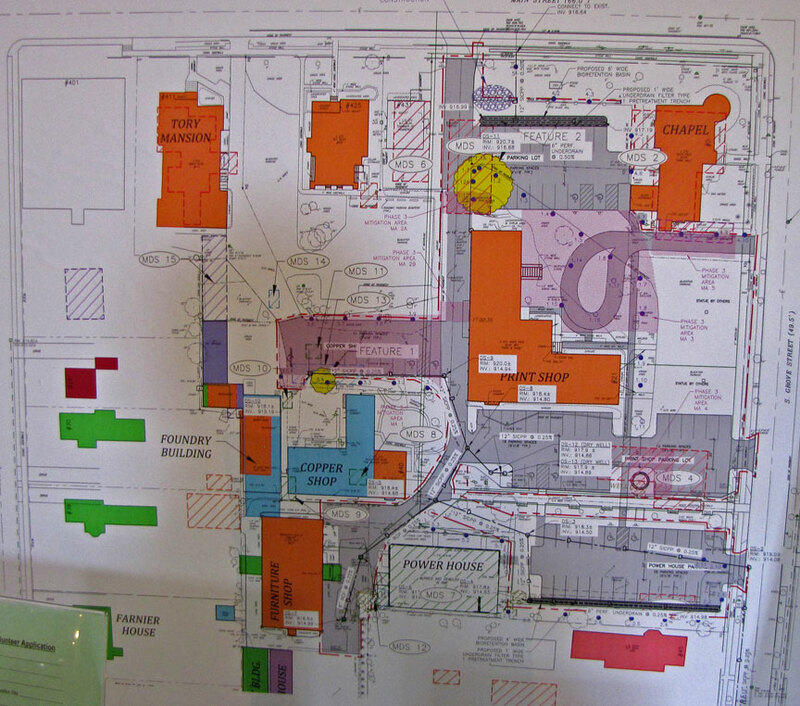 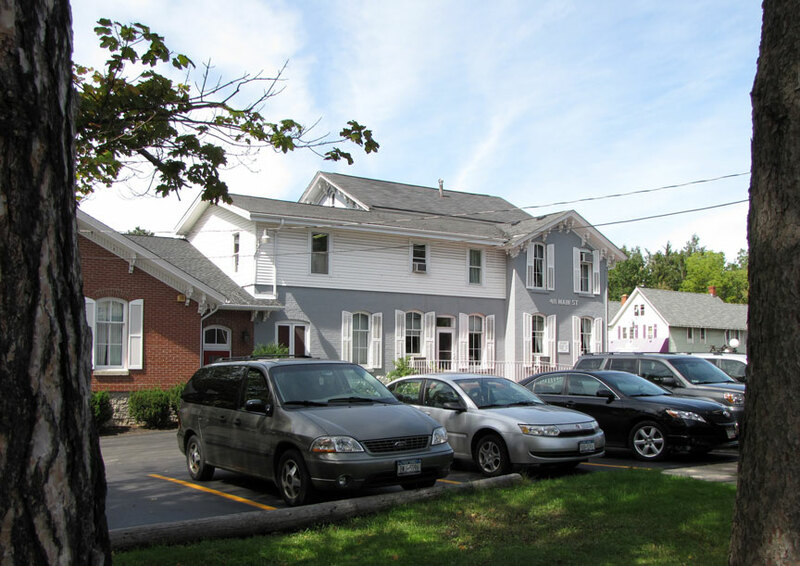 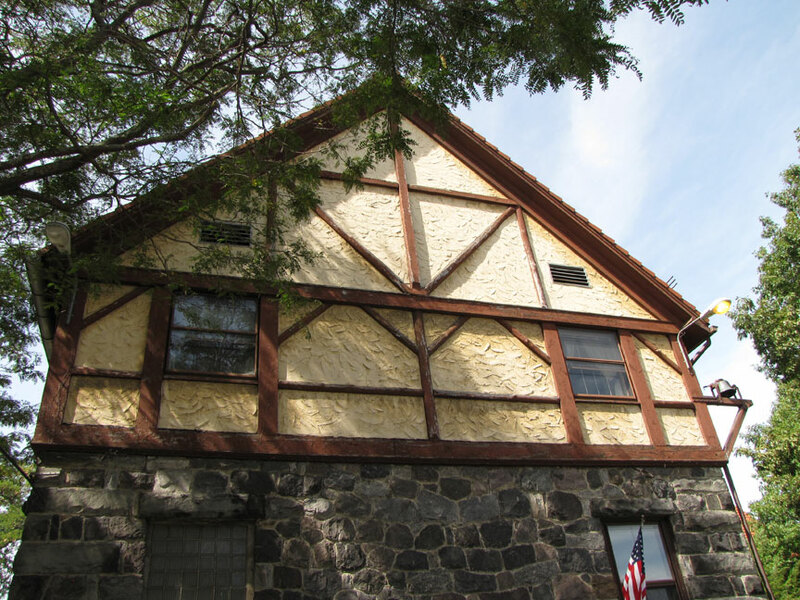 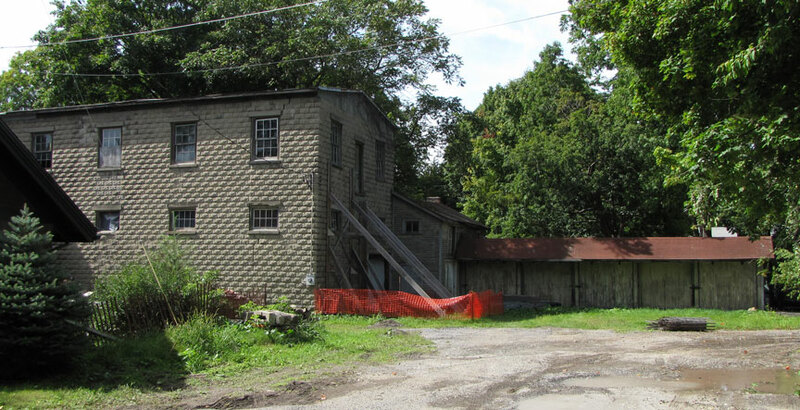 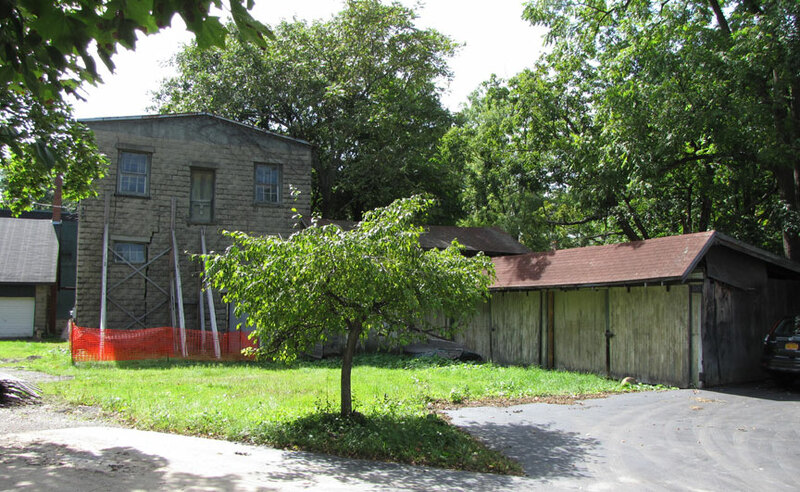 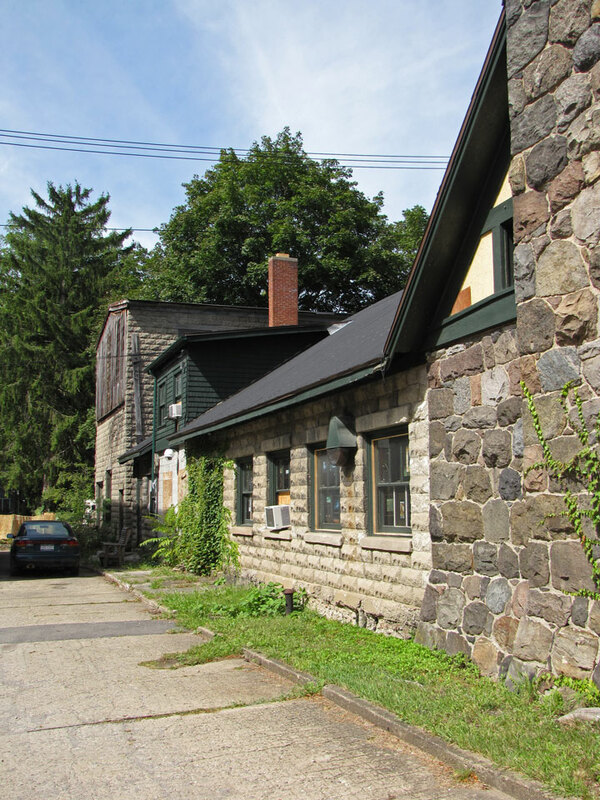 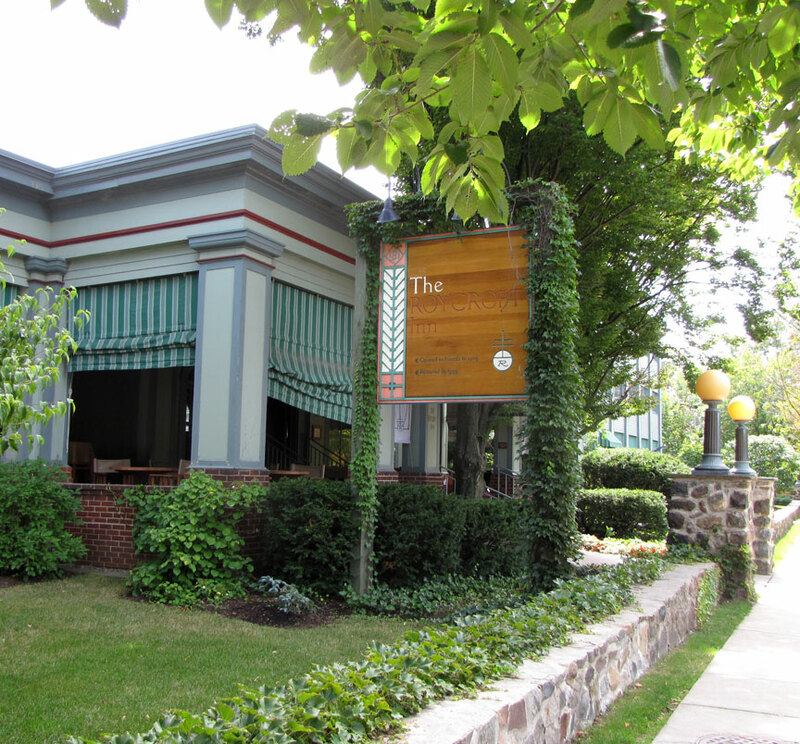 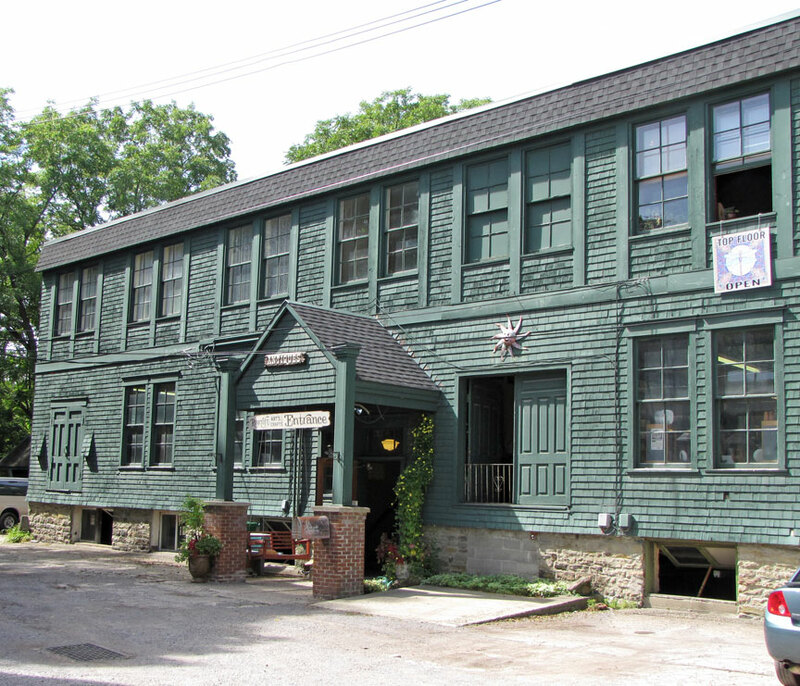 14 original Roycroft buildings are located in the area of South Grove and Main Street in East Aurora. 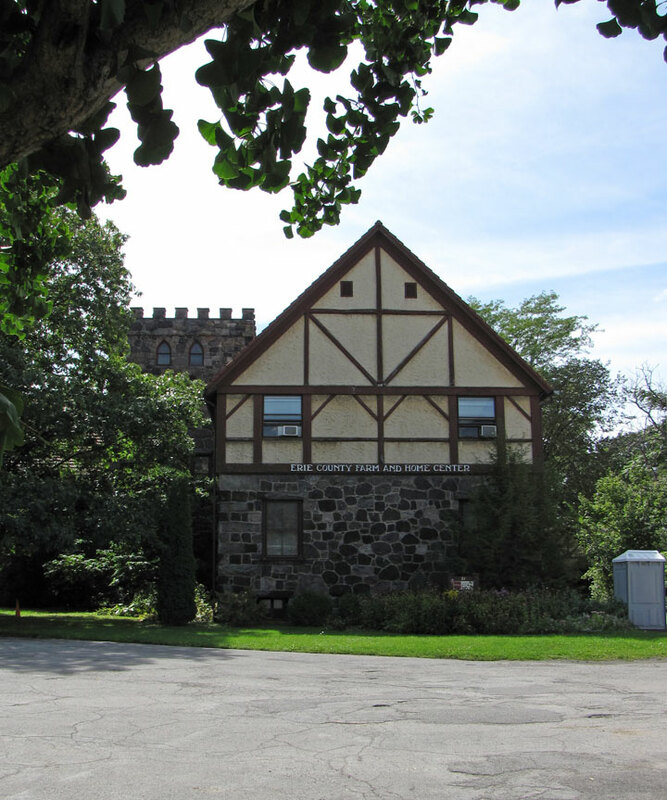 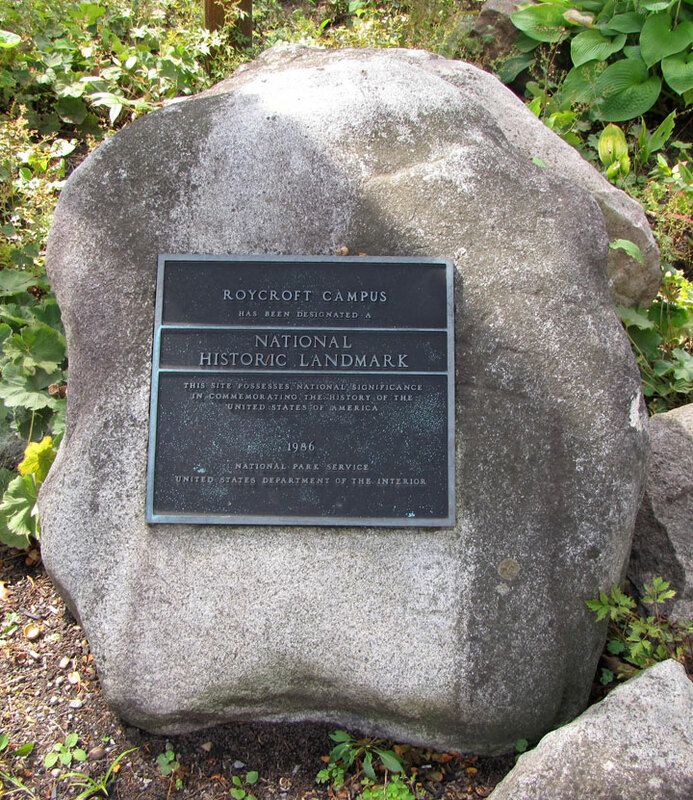 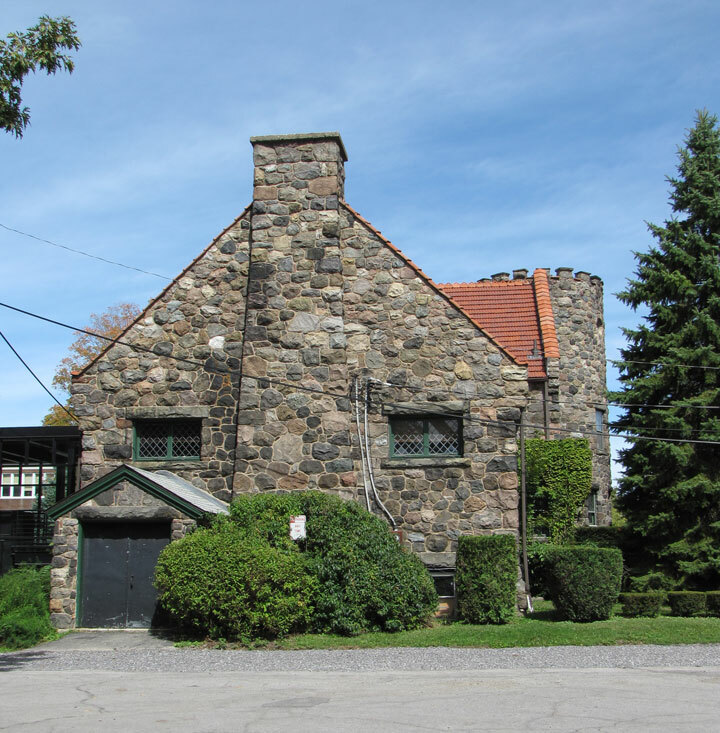 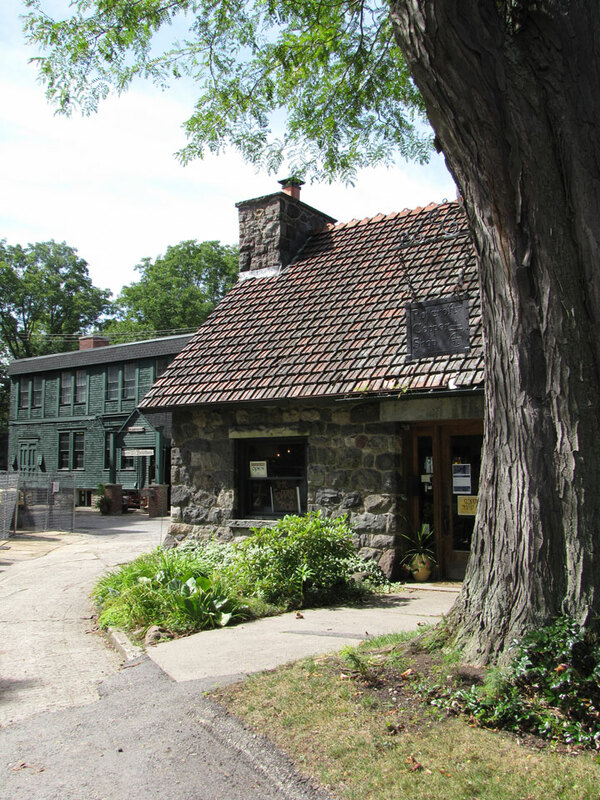 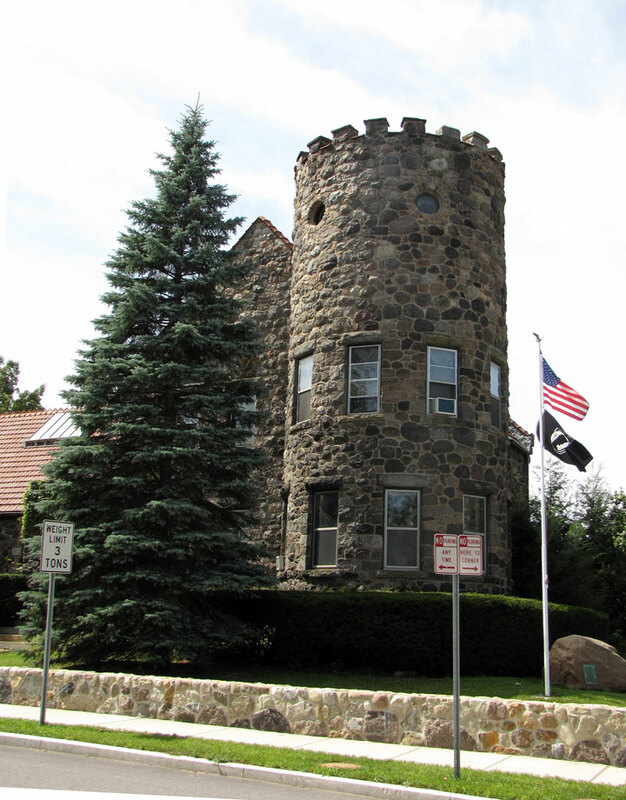 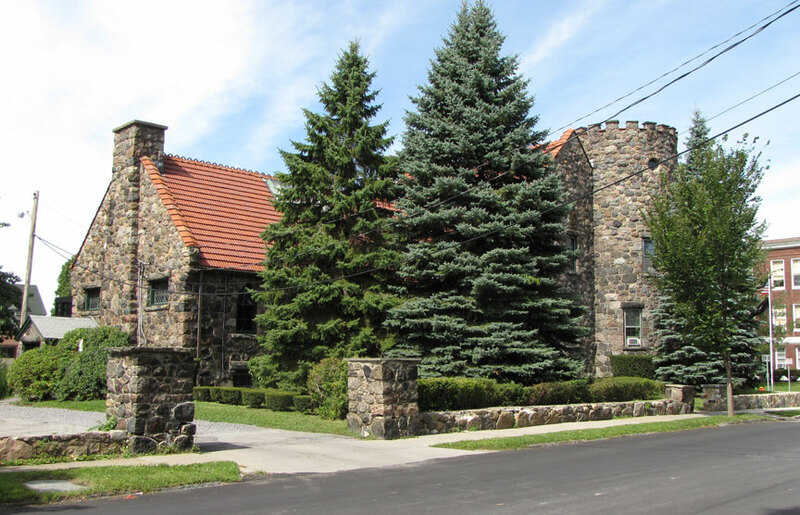 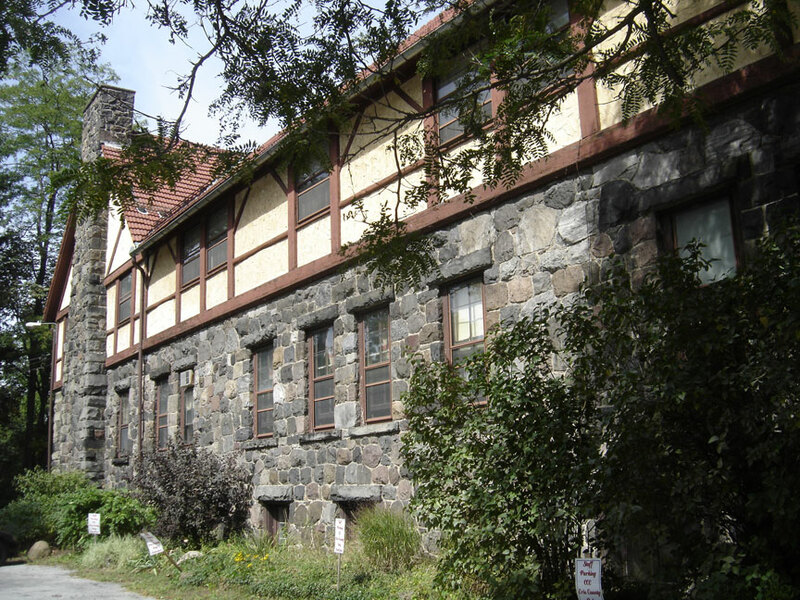 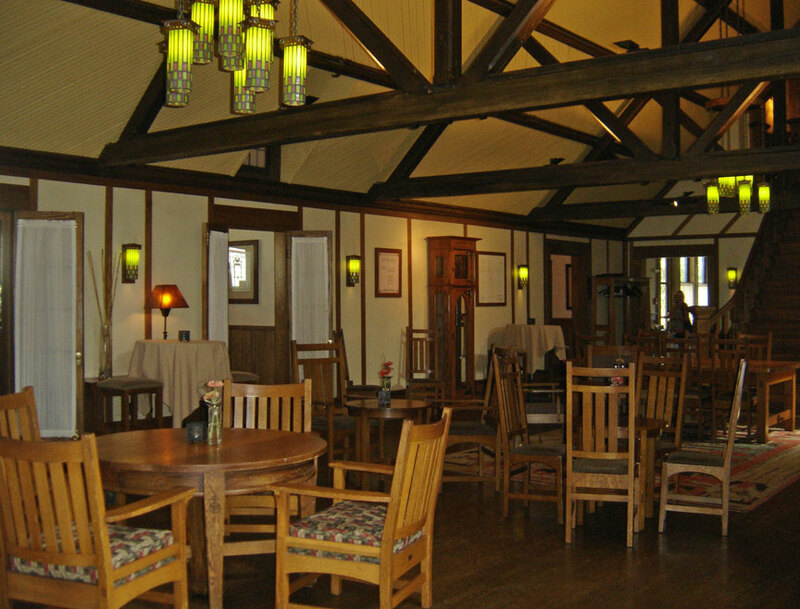 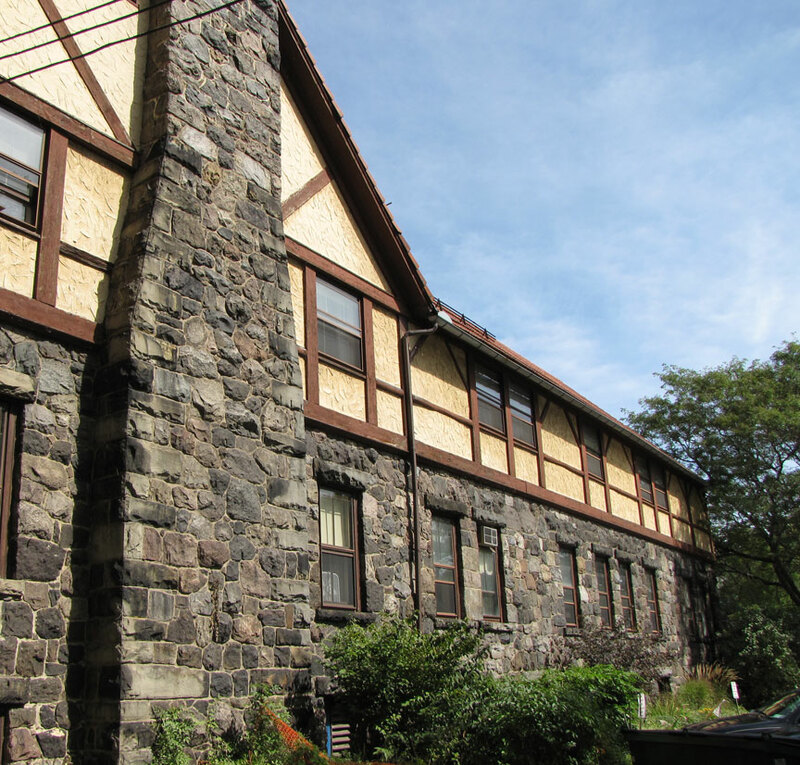 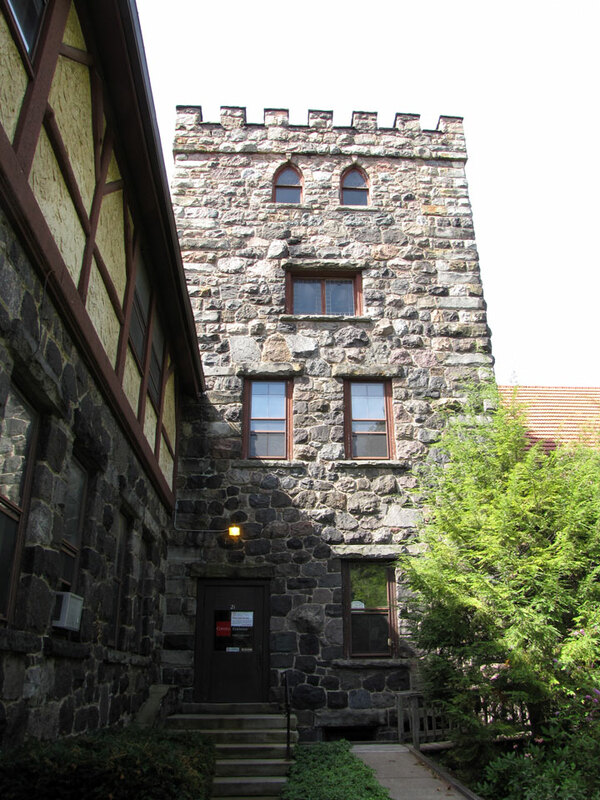 Known as the "Roycroft Campus", this rare survival of an art colony was awarded National Historic Landmark status in 1986.